ShaLeigh Comerford is an Irish & Native American dancer, choreographer and artistic director of ShaLeigh Dance Works in Durham, NC. She is a graduate of Hollins University with a Master’s degree in Visual and Performing Arts. She has been commissioned by Cambridge University, Keio University, Washington & Lee University, Cirque USA, North Carolina Museum of Art, Campaneria Ballet Company, Durham Ballet Theatre, Mill Mountain Theatre, Roanoke Ballet Theatre, Roanoke Children’s Theatre, Virginia Ballet Academy and City Modern Ensemble. She began her formal dance training on scholarship with the Roanoke Ballet Theatre and the American Dance Festival and continued her training in NYC and at P.A.R.T.S in Brussels, Belgium. In addition, Comerford was personally invited to train in the Gaga movement language with Ohad Naharin and the Batsheva Dance Company in Tel Aviv, Israel for their inaugural teacher training program. Comerford apprenticed with the Bill T. Jones/Arnie Zane Dance Company and has performed with Keigwin & Company, Tina Croll & Company, the Dendy Dance Theater, Carolina Ballet, Martha Clarke, Rosie Herrera, as well as a restaging of Batsheva Dance Company’s Minus Sixteen and an Official Music Video for Blind by Christian Loffler. Comerford continues to perform and choreograph internationally with Input Place. 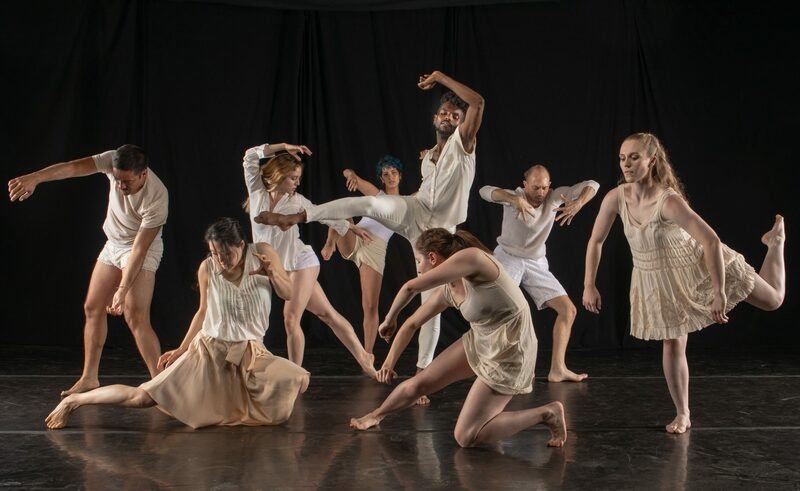 Comerford’s choreography and commissions have been presented throughout the United States and abroad, most notably at Jazz at Lincoln Center, Judson Memorial, Dixon Place, Chen Dance Center, The American Dance Festival, Tokyo Wonder Site Shibuya, Keio University’s Noguchi Room, The Week of Foreign Female Dancers in Tokyo, Cambridge University, Serendipity Gallery Berlin, The Ailey Citygroup Theatre, Washington and Lee University, The American Dance Guild, North Carolina Dance Festival and The Flea Theater. Her contemporary choreography The Within was selected by the World Ballet Competition International to be featured alongside of Momix and several other award-winning dancers and choreographers in the 2014 Gala. Comerford is a showcased artist of DIDA’s 2014-15 & 2017-18 Season, and was an awarded winner in the 2013 Tokyo Experimental Festival of Sound, Art & Performance to design a performance installation at the Institute of Contemporary Art and International Cultural Exchange. The performance installation later toured to the Noguchi Room at Keio University (MITA) and Comerford was invited to perform at The Week of Foreign Female Dancers in Tokyo at Roppongi Stripe’s Space. While based in NYC, Comerford was the recipient of Dance Theatre Workshop’s 2007 Creative Residency and was a featured choreographer at Chen Dance Center’s 2007 NewSteps. She is a recipient of the 2018 Ella Fountain Pratt Emerging Artist Award and the Mary Duke Biddle Foundation Grant Award.